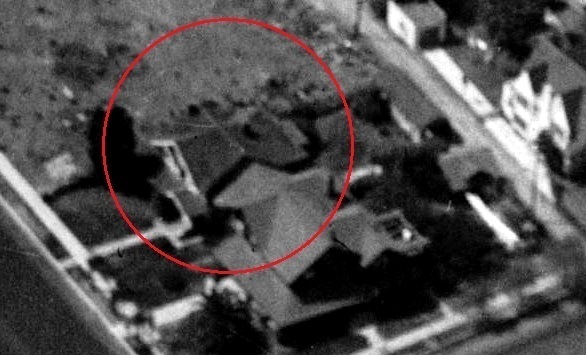 As were a number of houses on this slow-to-develop stretch of Wilshire, the house at 4037—seen above hiding behind 4031 at the northwest corner of Wilshire and Van Ness—was moved to the boulevard. 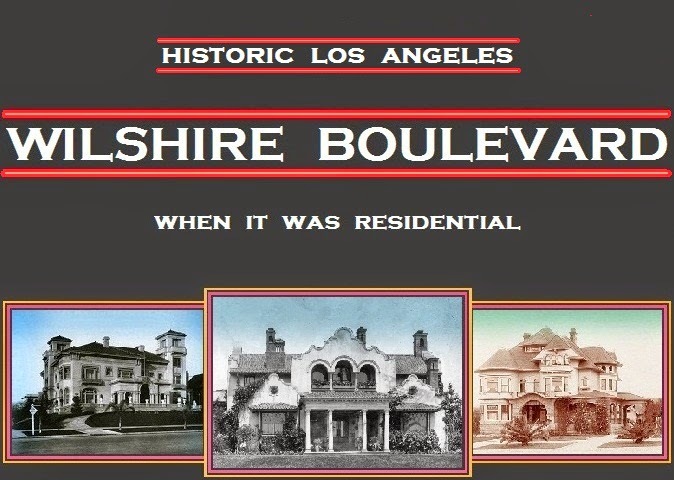 It was first built as a spec house at the southwest corner of Serrano Avenue (then Cahuenga Boulevard) and Sixth Street in 1909 and acquired by real estate man William H. Akin and his recent bride Viola the next year; the couple remained at 601 South Serrano before moving to Windsor Square in 1924. The Department of Buildings then issued a permit to lumber salesman Harry F. Wagner for the relocation of 601 to Lot 40 of the tract known as "Henry J. 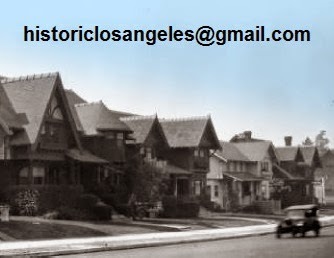 Brown's Wilshire Terrace" on May 15, 1924; Wagner stayed in the house until 1929, by which time it would have been clear that, even west of Western Avenue, Wilshire was not going to remain viable as a residential street. Commercial use of 4037 followed until the Department of Building and Safety issued permits for its demolition on July 16, 1956.